0.35 per sq. ft. negotiable. available. 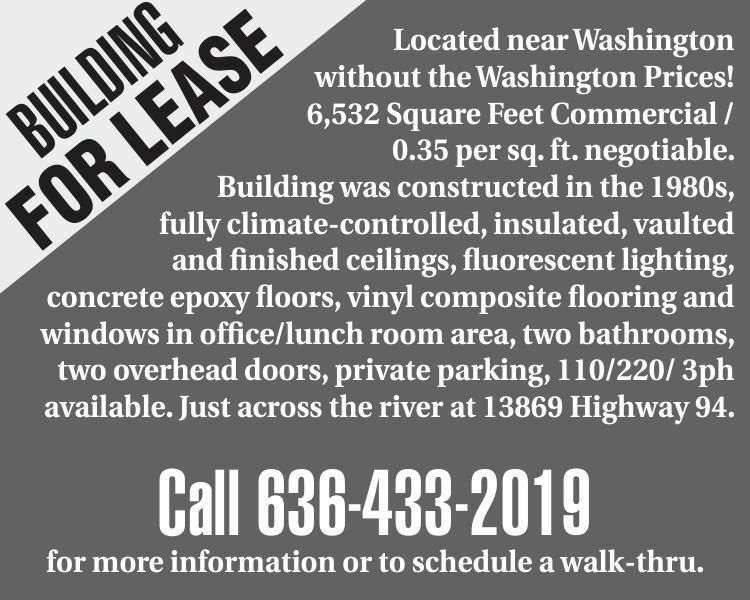 Just across the river at 13869 Highway 94.
for more information or to schedule a walk-thru.